Standigm discovers drugs using AI, saving time and cost when compared to traditional methods. Our AI reveals the patterns hiding in the today’s biomedical data that will lead to tomorrow’s medicines. Drugs can take a decade of research and over a billion dollars' worth of development before they reach the market. Resources are wasted in the pre-discovery phase through a trial and error process that yields more error than success. There are hidden insights in biomedical data, waiting to be discovered and to lead towards promising drug candidates. Unfortunately, these patterns are too complex and diffuse to be detected by the human mind; this is where a more powerful solution comes in – Standigm’s latest artificial intelligence technologies. Standigm removes the traditional guesswork from data analysis by using our innovative AI, automatically examining whole biomedical databases to learn what is hiding just out of sight. By applying our state-of-the-art machine learning technology to real data, we eliminate some of the uncertainty in the drug discovery process; instead of fishing in the dark for effective treatments, we can focus on developing candidates that are primed for success. Standigm cuts through the noise and presents data that are most pertinent to the treatment of diseases, saving time and money by shortening the development cycle. Standigm recognizes that the biomedical data are neither clean nor simple; we ingest various databases, established biological models, published texts, and other sources into a comprehensive corpus of information. We then do the heavy lifting of parsing the dataset to make it actionable. Once we have the dataset organized, we run it through our artificial intelligence system. Our AI automatically analyzes the innumerable ways the data can be combined and configured to create weight-optimized, deep learning models based on rules hidden in the data. Not only does our AI generate models, but it also provides an explanation of how these models were generated, offering necessary insight for researchers. From these AI models, we then provide biological interpretations of how the implicated drug compounds would interact with people in the real world. This information is crucial to effectively decide which drugs to assemble and test, leading to viable solutions from the promising candidates. Jinhan Kim, Standigm CEO is supposed to attend the BIO International Convention 2019. Hee Jung Koo and Daehee Han will attend the BIO Asia International Conference 2019. 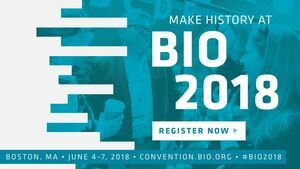 Jinhan Kim, Standigm CEO, and Heejung Koo will attend the BIO International Convention 2018. Jinhan Kim, Standigm CEO, and Daehee Han will attend the BIO Asia International Conference 2018.